The Mark is proud to announce the opening of Assouline, an exciting new boutique on the ground floor of the hotel. 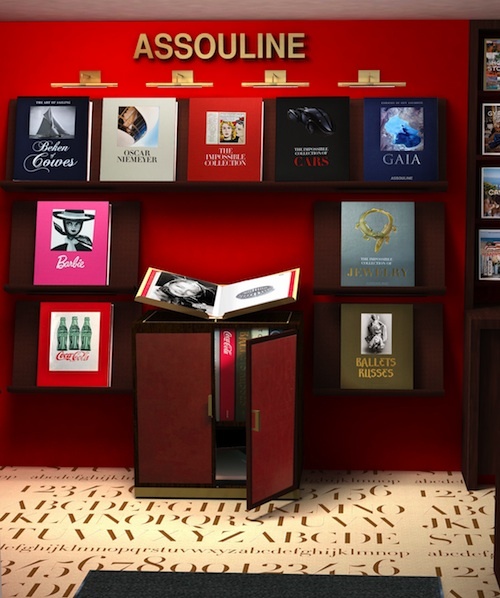 Assouline, the internationally renowned publisher of luxury lifestyle titles and proud recipient of the 2012 Accessories Council Influencer Award, has opened its smallest luxury boutique in the world. The result: a shopping experience that is as innovative as it is elegant. Designed to evoke a luxurious wrapped gift, the new boutique will stock Assouline’s most in-demand titles, from the Ultimate Collection (hand-crafted volumes ranging from $250 to $7000), to a selection of Assouline Vintage titles curated by Prosper Assouline, to best-sellers and new titles like Fashion Jewelry and In The Spirit of the Hamptons. The 100-square-foot space will provide the same impeccable service that has become a hallmark of all Assouline boutiques, providing our guests with a shopping experience that is intimate, personal, exclusive, and truly one of a kind.